Lonely but beautiful. Congrats for this kind of job! 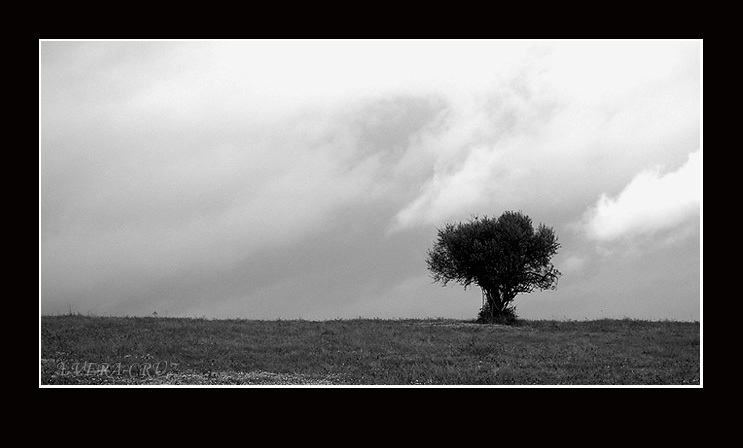 I like the tree just standing alone on the big fields. I enjoy your works every time you post them! Isto e boa fotografia, boa e bonita. Parabens, Aguinaldo. Fine photo! An excellent composition and sky! Aguinaldo, this is missing a little `punch` for me... You`ve at least a couple similarly themed images that I`ve found to be far more accomplished. Though, I certainly imagine it as part of a series. But it is romantic and beautiful.. Very beautiful Aguinaldo, excellent composition!